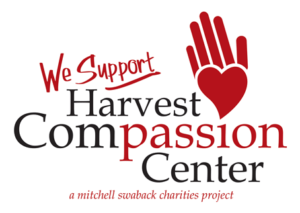 Check Out Our Recent Appearances In The News! Jim Garnand was recently featured on 12 News and explained the safety hazards of expired and old car seats. Check out both videos below to learn how to ensure your child’s safety in the car. NARPRO’s Jim Garnand was featured on Good Morning Arizona and explains how to recycle and WHY you need to recycle them! Watch the interview below! Today is National Good Samaritan Day. It’s a day to focus on unselfish actions, to help those in need and to celebrate kindness. The term “Good Samaritan” is used to describe people who perform acts of kindness, especially for strangers, so what better way to exemplify this behavior than to help a stranded motorist? Helping someone jump-start their car is a great way to act as a Good Samaritan, but doing so requires you to know how to do it properly. In practice for the day of good deeds, maybe it’s time to brush up on your knowledge of how to jump a car. According to leading Arizona mechanics from the Network of Neighborhood Auto Repair Professionals — or NARPRO.com — jumping a car is really as easy as 1-2-3. First: Find a car with a good battery and a willing driver. Don’t be afraid to flag someone down and ask for help. Most drivers have been in your shoes and experienced a dead battery once or twice in their lifetime. Position the vehicles so the front bumpers are aligned, leaving a couple of feet of room between the cars for you to work. Make sure both vehicles are turned off before attaching jumper cables to the batteries. Second: Open the hood on each car, make sure they are safely propped open then look for the red and black color-coded rubber caps covering the negative and positive battery posts. Universally, red denotes a positive charge and black denotes negative. Place a red clamp on the positive post of the good battery, then place the other red clamp on the positive post of the dead battery. Now return to the car with the good batter and place the black clamp on the negative post. Last, place the black clamp on a grounded surface on the vehicle with the dead battery. Third: Have the driver of the vehicle with the good battery turn their engine on and allow it to idle. Leaving the car running for a short time will allow the dead battery to recharge. After a few minutes, attempt to start your engine. If your engine starts without any problems, leave both vehicles running for a few minutes to allow the battery to continue to charge, then remove the jumper cables starting with the black clamp from the grounded surface first, then the other black clamp from the negative post of the good battery, followed by the red clamp from your vehicle’s battery, and finally the other red clamp from the good battery. Following these simple steps to jump a dead car battery can make a real difference in someone’s life — we all know being stuck on the side of the road in Arizona is no picnic! Brad Slagle is the relationship manager at S&S Tire and Auto Service Center, a family-owned and -operated business in the West Valley. Slagle also serves on the board of the Network of Neighborhood Auto Repair Professionals, or NARPRO.com. Is Your Child’s Car Seat Properly Installed? Jim Garnand was featured on 12 News explaining how to properly install your child’ car seat. Click the video below to learn more! Jim Garnand talks about the steps you can take to make sure your vehicle is properly fit for the wet roads. Check out the interview featured in 3TV News! Howard Fleischmann explains how to set aside money and budget for car repairs you may not be expecting. Check out the interview featured on Good Morning Arizona! Check out what NARPRO’s Jim Garnand had to say about new cars and car loans in the article below. Welcome to America – The greatest country on earth. Consumers drive our economy and manufactures will make what we buy. Ads make unbelievable plausible; i.e., while reading this a video is playing for the Rolls Royce Cullinan. Who can afford one of those? We know it is out of reach, but we can dream. The dream, combined with consumer confidence and even marginal credit can drive overbuying. Customer want a new car and often more car than they need. Do not concern yourself with the Jones. Your vehicle needs to serve you, not them. Do you have a 4x4 which has never been in the dirt? A truck with no scratches in the bed? SUVs are the rage because they so versatile. However, you will be better off in a sedan (or minivan) and rent to suite the occasional special purpose. With practical asset management and vehicle maintenance you should control when to invest in another vehicle. When you are in the market for a vehicle NARPRO shops are motivated to help you get the best value possible. No, we don’t sell cars but we want you in a car which you like long term and we not only have extensive experience we have access to more information than ever. WWW can provide anyone with information overload, but it can certainly provide tools to make sense of dollars and cents; i.e., Edmunds TCO (True Cost to Own) and Compare Cars. . Do your homework. New cars depreciate significantly when the papers are signed. Your asset is worth less even before you open it’s door. The first few years are the most expensive for any vehicle. Fiscally conservative drivers acquire used vehicles >3 years old, and suing a system to evaluate prospects is the best way to get what you need. Here’s one we made for you: Vehicle Purchase Checklist. While love that we live in a country where we can buy almost anything, but I also appreciate that we don’t need to buy everything. Live comfortably and save where we can. As we settle into the new year, many new year’s resolutions start to slip by the wayside. But one resolution you can stick to is avoiding new debt. For most Arizona families, housing expenses, like a mortgage or rent, are the biggest monthly bill. Not too far be-hind is the cost of transportation — specifically if you have a monthly car payment. Did you know the average car payment is now $509 a month? Most financial experts advise against spending more than 10 percent of your gross annual income on a car payment. But what if you could eliminate this budget line item altogether by taking better care of the car you currently own? According to leading Arizona mechanics from the Network of Neighborhood Auto Repair Professionals — or NARPRO.com — most cars can run until they are close to 200,000 miles, but only if they are properly maintained. There are several things you can do to keep your current vehicle running longer, minimize out-of-pocket expenses and avoid purchasing a new car this year. Be diligent about routine maintenance, because you play a big part in making sure your car is properly taken care of. Get to know your owner’s manual and the recommended major service intervals for your vehicle. It’s more than just having your oil changed and tires rotated; preventative care will extend the life of your car, and in most cases, it’s cheaper to take care of your car than to buy a new one. Set aside money each month for car maintenance, especially if your car is no longer covered under the manufacturer’s warranty. 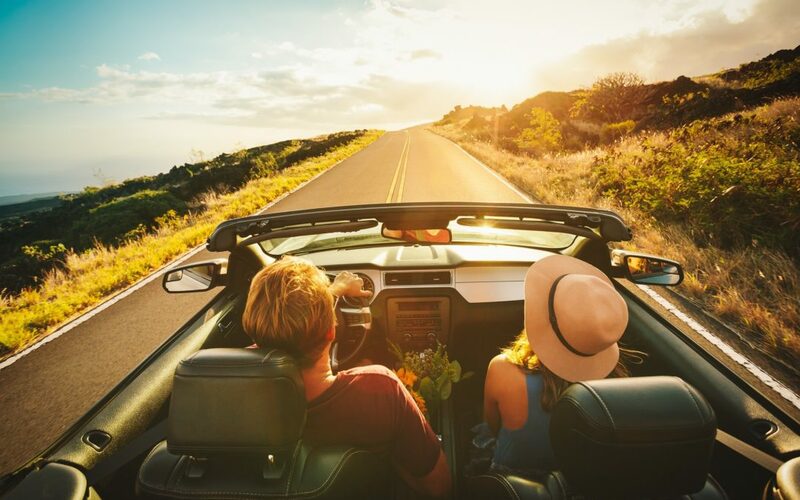 If you own a midsize se-dan and drive the average 10,000-15,000 miles a year, NARPRO recommends setting aside $100-$200 a month for car care/repair throughout the year. Pay attention to what’s going on with your car. If something goes awry with your vehicle, be prepared to provide de-tailed information to your mechanic about what your car is doing. This will help the pro fine-tune their diagnosis. Providing specific and accurate information about signs or symptoms you’ve experienced before and after your car started acting up is important to assuring an accurate diagnosis. Develop a committed relationship with your auto repair shop, because building trust will save you headaches and money in the long run. A reputable repair shop can provide you with a road map for future repairs, will stand behind its work, and having a vehicle history will help technicians provide the best service for your car. Plus, your car may be considered more valuable when you sell it if you can show your repair history. With a proactive mentality and commitment to maintaining your vehicle regularly, you could save thousands of dollars in car payments this year. What could be better for your bottom line and goal to avoid debt? Jim Garnand has been working with customers and their vehicles in Phoenix for over 30 years. He’s an ASE Certified Master technician, third-generation owner of Hi-Tech Car Care and president of Neighborhood Automotive Re-pair Professionals, NARPRO. S&S Tire gives free car to a mother in need. Click below to watch this heartwarming story. Should you warm your car up before driving in the cold? 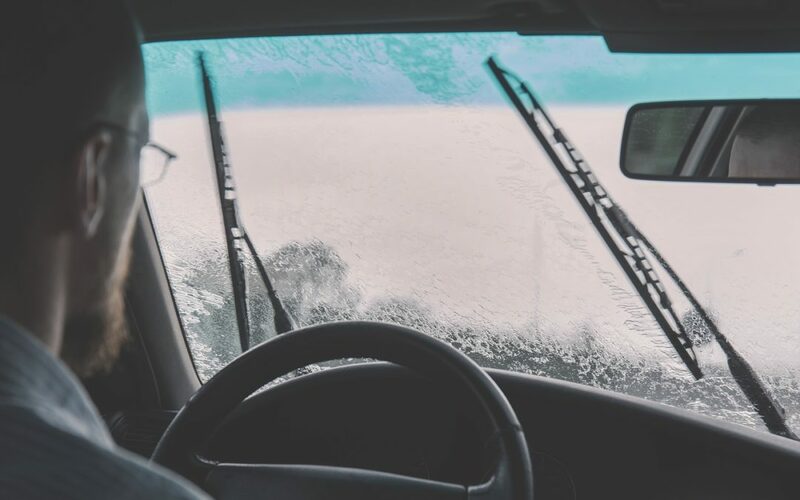 Cold weather car care – from whether to warm up your car or not, to what maintenance items you need to take care of, NARPRO has all your answers for winter driving. You don’t want to get taken for a ride when you need an auto repair! You want a mechanic you can trust, one who is equipped to take care of your vehicle and has the right certifications and equipment. Learn how to find a mechanic that works for YOU! 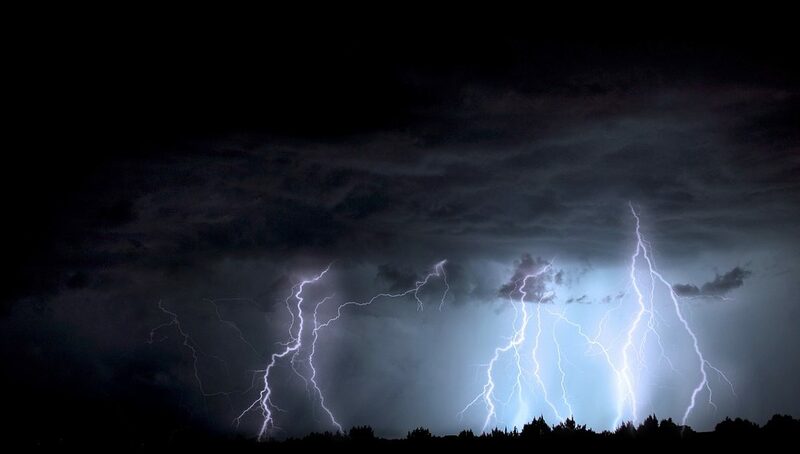 Monsoon season is here once again in Arizona! Unfortunately, this time of year auto repair shops see numerous vehicles that have serious damage caused from the excessive rain and dust. Do you know how to keep your vehicle safe during a monsoon? Well, check out David Martin from Martin’s Auto Repair as he explains the best ways to protect your vehicle during this time of year. Heatstroke is the number one killer of children, outside of car crashes. That’s why NARPRO partners with Safe Kids Maricopa County and the National Highway Traffic Safety Administration (NHTSA) to reduce these deaths by reminding parents and caregivers about the dangers of heatstroke and leaving children in hot cars. Make it a habit to look in the backseat every time you exit the car. Always lock the car and put the keys out of reach. And, if you ever see a child left alone in a hot vehicle, call 911 right away. Always keep personal items such as purses on the rear floor so that checking the rear seat area becomes a habit. Always make sure the child is Ok and responsive. If not, call 911 immediately. If the child appears Ok, you should attempt to locate the parents; or have the facility’s security or management page the car owner over the PA system. If there is someone with you, one person should actively search for the parent while someone waits at the car. If the child is not responsive and appears in great distress, attempt to get into the car to assist the child, even if that means breaking a window. If a child exhibits any of these signs after being in a hot vehicle, cool the child rapidly by spraying them with cool water or with a garden hose, never use an ice bath. Call 911 or your local emergency number immediately. Children’s body temperatures can rise up to five times faster than that of an adult, and heatstroke can occur in temperatures as low as 57 degrees. On an 80-degree day, a car can reach deadly levels in just 10 minutes. Don’t Forget to Spring Clean Your Vehicle! Spring is just around the corner and there is no better time to do a thorough cleaning of your vehicle. We aren’t just talking about visiting the car wash – although that is a good idea as well – taking the time to clean the various filters in your vehicle. Howard Fleischmann of Community Tire Pros shows you exactly how to do this! A portable air compressor? Just store it in the trunk of your vehicle, and if your tire pressure ever drops, you don’t have to look for an auto repair shop or service station to fill it up. Sounds great right? Well the real question is … does it work? 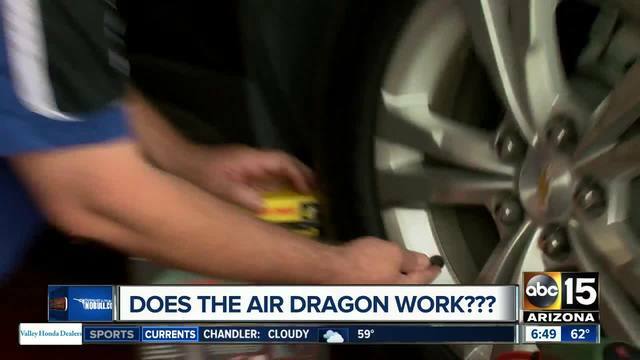 NARPRO’s Jim Garnand of Hi Tech Car Care along with Chelsey Davis of the ABC15 Smart Shopper Team put it to the test … the result? Watch the video to see! S&S Tire and Auto Service Center becomes the latest member of Neighborhood Auto Repair Professionals (NARPRO). In 1976, the Slagle family opened S&S Tire Company in Peoria. 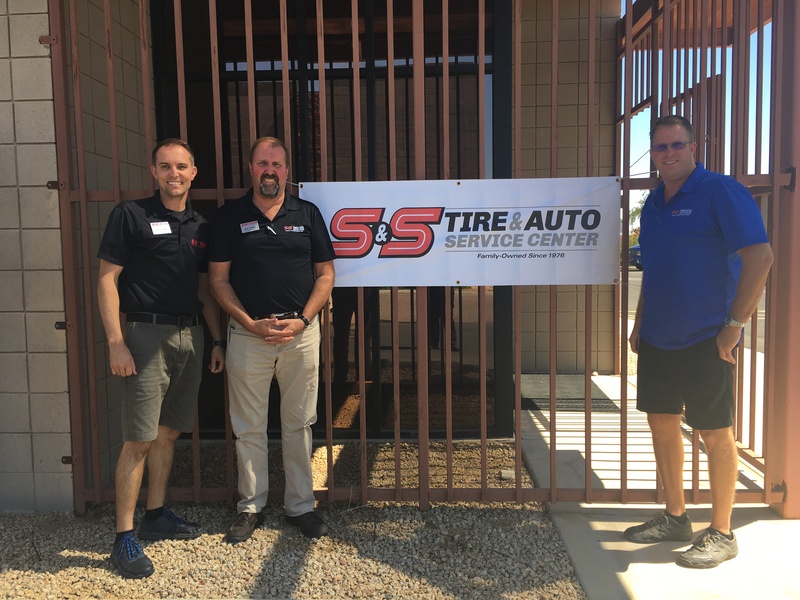 Since then, they’ve added locations in Surprise and Goodyear, offering reliable tire and auto repair service to customers across the West Valley. “S&S has always been a family-owned business,” Brad Slagle said. “Three generations of the Slagle family work alongside employees who have been with the company for as long as 20 years.” Family-owned and operated, S&S takes pride in providing honest, reliable tire and auto repair service to customers living in and near Peoria, Surprise, Sun City, Sun City West, Goodyear and Avondale. Visit online at www.tiresaz.com. A Sit Down with VP Mike Pence! 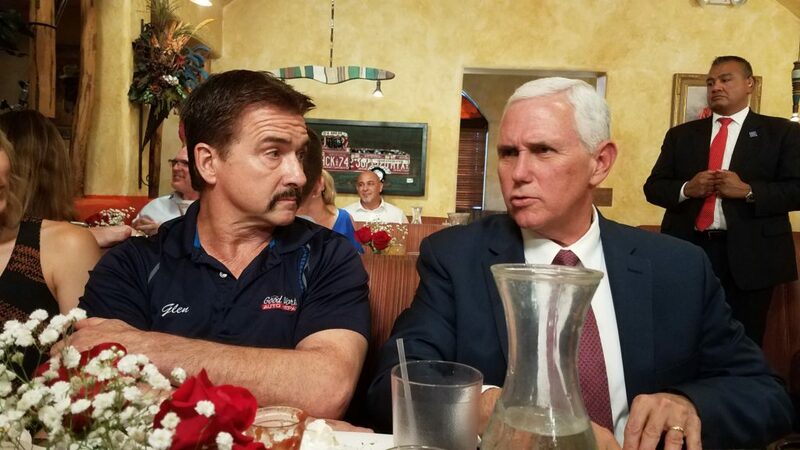 NARPRO members, Glen and RaeAnn Hayward, of Good Works Auto Repair, were invited to a sit-down with Vice President Mike Pence on Tuesday, October 3rd. The VP was in town to discuss the need for tax reform. In the speech he gave to local business and community leaders, he said that the president wanted him “to listen to the job creators and to listen to the great leadership in Arizona about the best way to go forward.” We are so excited that one of our NARPRO shops were invited to join in the conversation! To read the full article please click here. NARPRO shares helpful tips and tricks with the news audience on how to properly care for your vehicle in different situations. Finding a Good Mechanic Is Important – Let NARPRO Help! 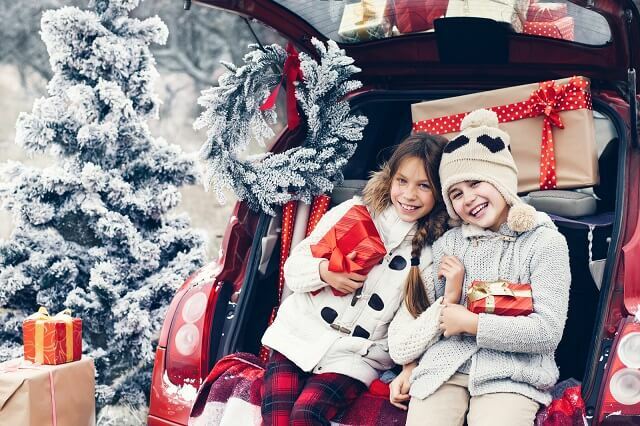 ‘Tis The Season: Is Your Car Ready?